Ukraine has imposed the sanctions against the number of the Russian mass media, including Russia-24, Channel One, NTV, Nashe Radio as it is stated in the order of Ukraine's President #126/2018. - limited liability company 'Nashe Radio. The sanctions are imposed for three years. The main sanctions are the blocking of the assets – the temporarily restriction of right to manage the property; stop of the execution of economic and financial obligations; ban for use of the radio-frequency resources of Ukraine, restriction and stop of the provision of the TV-communication services and use of the TV-communication networks of the common use. The National Security and Defense Council of Ukraine reported to 112.ua that the absence of some companies in the new sanctions list does not mean that the sanctions were lifted. The council emphasized that the new list extended the number of the companies and persons against which the sanctions have been already imposed and extended the sanctions imposed in 2017 for one year. The companies that faced sanctions for three years in 2017 were not included in the 2018 list. 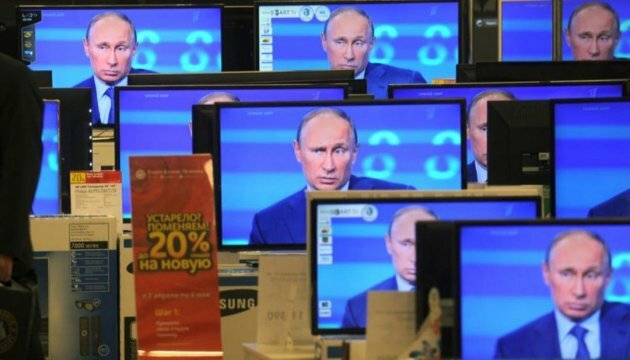 As we reported the workers of the Security Service of Ukraine (SBU) and the Prosecutor's Office of the Autonomous Republic of Crimea has exposed the network of the media entities controlled by the Russian Federation. The law enforcement bodies held the investigative actions at the office of RIA News-Ukraine. On May 15, the SBU considered the detention of the head of RIA News Ukraine agency’s office.